On July 20, 2016, Turkey triggered a three-month state of emergency due to the July 15, violent coup attempt. According to CNN, President Recep Tayyip Erdogan announced the decision to the nation, after meeting with the National Security Council and the Council of Ministers, who approved the recommendation. Turkey triggered a state of emergency after the military coup attempt that left the country in shock. As CNN stated, on July 15, army tanks drove into the streets of Ankara and Istanbul. Soldiers blocked the Bosphorus Bridge that connects the European and Asian sides of Istanbul. Also, almost 300 people gathered in Taksim Square waving flags, while the soldiers were firing guns in the air and the large crowd of people insulted them. Several minutes later, the military took over the buildings of CNN Turk and TRT, the Turkish state broadcaster. Moreover, the army made a statement, declaring “the political administration that has lost all legitimacy has been forced to withdraw.” However, an hour later, President Erdogan addressed the nation, urging people to get out into the streets and stand up in front of the soldiers. During the night, gunshots and bombs cracked outside the presidential complex and the parliament building in Ankara. Also, according to CNN, helicopters opened fire at the national intelligence headquarters, while large crowds of people marched the streets, facing the tanks. In the morning of July 16, Turkish officials declared that the coup attempt failed. 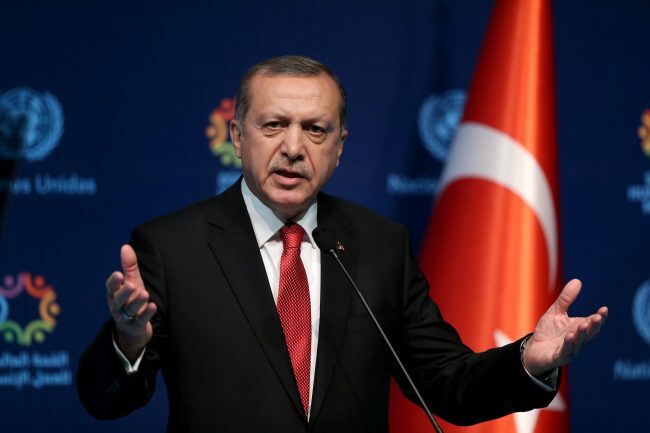 Afterward, President Erdogan announced that the government is in control and that the president, whom more than 50 percent of the voters elected, is still on duty. The coup attempt left behind numerous casualties. According to the Turkey’s Foreign Ministry, almost 300 people died, and over 1,500 were injured. Furthermore, as BBC stated, at least 9,400 persons have been detained, and approximately 50,000 people have been suspended or fired as a consequence of their involvement in the failed coup attempt. The coup attempt that took place on July 15, has a cause that goes back in time. According to “Politico Magazine,” “there is an existential battle going on for Turkey’s heart and for Turkey’s democracy,” which began years ago. It appears that President Erdogan has a conceptual view that disagrees with the Muslim Brotherhood theory of government. Erdogan’s beliefs contradict the vision of Kemal Ataturk and his followers, who wanted to maintain “a secular democratic state with checks and balances, rule of law, and protected rights for individuals against the State.” The two views are very distinct and do not submit to compromise. Also, it looks like Erdogan tried since 2012, to neutralize the opposition. Due to these facts, the leaders of the coup attempt declared that their actions targeted corruption and the threat to the secularism of the country. Moreover, Erdogan compared the problem with a cancer disease that is spreading in the body of Turkey. He guaranteed that the governors would have expanded powers and would cleanse the army of its viruses. According to Article 120 of the Constitution of Turkey, a state of emergency can be applied “at a time of serious deterioration of public order because of acts of violence.” A state of emergency can be imposed up to six months.